We posted a blog previously about inversion ankle sprains, the more common and usually much less painful ankle sprain. 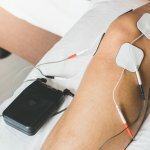 However, there is another type of ankle sprain, the “high ankle sprain” or otherwise known in sports medicine circles as the “syndesmotic ankle sprain.” High ankle sprains account for only about 1-18% of ankle sprains, according to a 2006 Journal of Orthopedic and Sports Physical Therapy study. They are most common in soccer players, skiers, and American football players. The objective of this post is to talk about the how’s and why’s of high ankle sprains. If you or your child suffers a high ankle sprain, the sports physical therapy experts at SSOR are your answer to get you back on your feet. Symptoms of a high ankle sprain are similar to an inversion ankle sprain, but there are some differences. First of all, it hurts more to externally rotate the foot (turn it out) than an inversion ankle sprain. Additionally, the person is usually a little more tender above the ankle, between the tibia and the fibula. Squatting and going down stairs are especially painful. Last, end range dorsiflexion is a little more painful. Truthfully, it is best to have your ankle examined by an athletic trainer, sports physical therapist, or an orthopedist for an accurate diagnosis. Believe it or not, there are some subtle differences in the rehab for a high ankle sprain. Exercises for a high ankle sprain are relatively similar. First of all, there is really no agreement in the literature about what to do immediately following a high ankle sprain – should the person be non-weight bearing, in a walking boot, walk as tolerated with a brace, or some have proposed surgically fixating a screw between the two bones to help the membrane heal. The main issue is that membrane has to heal back together. If you do too much walking or squat-like movements, the membrane gets repeatedly insulted and it can’t heal. At SSOR, we definitely advocate limited weight-bearing and activity modification. We also suggest a heel lift for the shoe. The heel lift serves to negate the need for as much ankle dorsiflexion required for things like descending stairs and squatting. Like any other ankle sprain, mobility, range of motion, strength and balance need to be restored. Partial weight bearing with crutches if needed. Use of walking boot determined by physician. Patience!!! Unfortunately, these injuries just require time to heal. It really stinks because it’s often time that people don’t have! 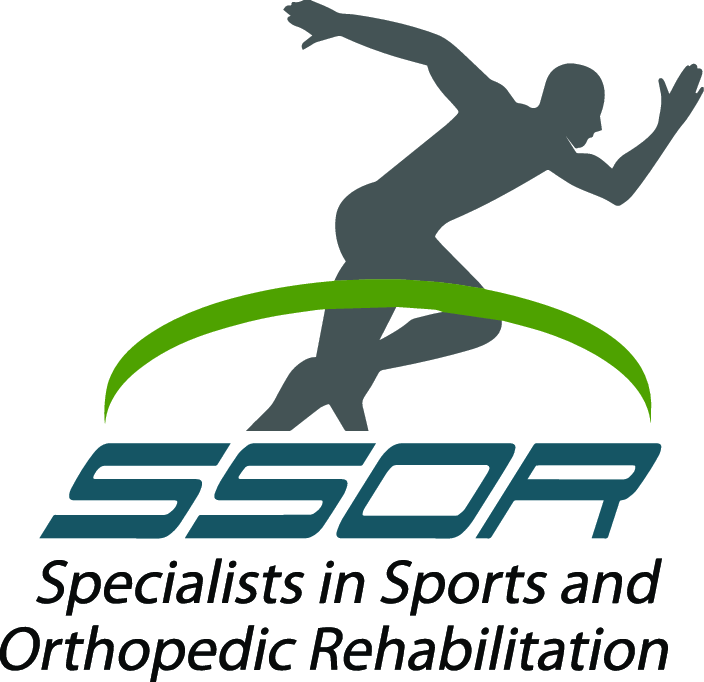 The sports medicine experts at SSOR are your first choice for rehabilitation of high ankle sprains. We have two convenient locations to serve your physical therapy needs, one in Overland Park and one in Prairie Village. It would be a privilege to serve you and partner with you in your care. Give us a call!